If you’re considering buying a luxury Laguna Beach home, you’ll be glad to know how easy it is to get here. This is especially great news if you’re in the market for a second home or vacation home. You don’t want to spend precious downtime traveling to your destination, particularly if you’ll do it often. Here’s a rundown of the various ways to get to our beautiful seaside village. 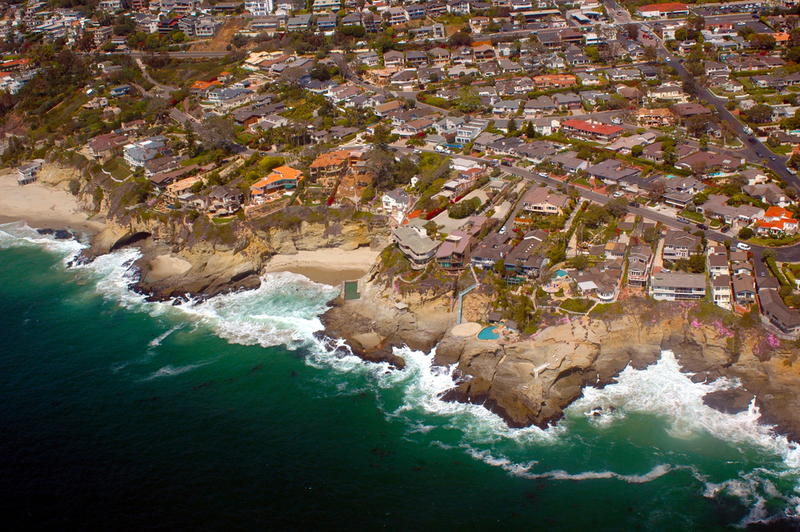 First of all, you should know that Laguna Beach is ideally situated in Southern California. We are 72 miles north of San Diego and 35 miles south of Los Angeles. That means we’re not only close enough to make working in these cities possible, but also far enough away to feel like you’ve escaped to paradise. Driving in to Laguna Beach is very easy, and you’re treated to some amazing views along the way. If you’re coming from the north or south, take the 405 or the 5 to exit Hwy 133 south. This turns into Laguna Canyon Road, which then becomes Broadway. If you’re coming from the east, take the 57 to the 5 and take the Hwy 133 exit south. Be aware that the 133 is a toll road, and you can pay the toll by visiting their website. If you have the time for a more leisurely drive, then you must come in on Pacific Coast Highway 1. The road follows the ocean and takes you straight into Laguna Beach. Click here for more specific driving directions. The closest airport to Laguna Beach is the John Wayne Airport, just 16 miles away. The airport offers more than 20 nonstop destinations and is served by most major airlines. You can then use Uber or Lyft to get into town. Use the codes VISITLAGUNABEACH (Uber) or VISITLAGUNA (Lyft) if it’s your first ride, and you’ll score a discount. Other area airports include Los Angeles International Airport (LAX), Long Beach Airport and San Diego International Airport. You can also reach Laguna Beach via the SuperShuttle from any of these area airports. Who doesn’t love a scenic train ride? If you want a comfortable ride into town, try taking the train. The nearest train station is in San Juan Capistrano, about 13 miles from Laguna Beach. From the station you can request a ride from Uber or Lyft or take the OCTA bus. Two train lines serve the area. Take the Amtrak Surfliner, which operates between San Luis Obispo and San Diego. Or hop on the Metrolink, which operates between Ventura, San Bernadino and San Diego. Once you’ve arrived in Laguna Beach, it’s time to explore. There are plenty of places to park, and the best way to experience Laguna is on foot. You can also hop on the free Laguna Beach trolley. Download the Visit Laguna Beach app to track the trolley in real time. If you’d like more information about luxury Laguna Beach homes for sale, please click here or call John Stanaland at 949-689-9047.